Abdullah Karam presenting Path Out last summer in Budapest at the Sziget Festival. Abdullah Karam, co-creator of an autobiographical game about leaving Syria in 2014, has been denied entry into the United Kingdom. 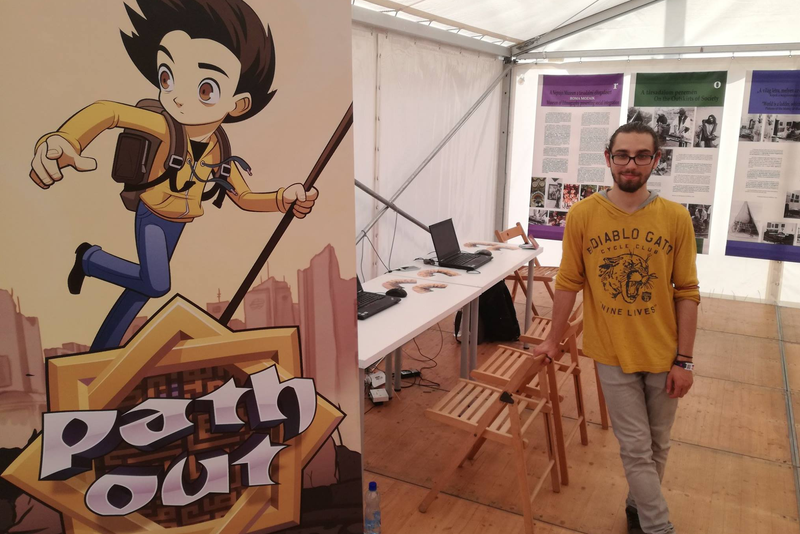 Karam’s visa application was rejected just days before he was supposed to attend the Casual Connect Europe games conference in London where his game, Path Out, was nominated for the Indie Prize award. Karam currently resides in Austria, where he’s received refugee status. This has previously allowed him to travel to a number of different European countries without issue, according to a report by GamesIndustry.biz. However, when he learned that Path Out was nominated for the Indie Prize in April (past winners include Hue, Shadow Tactics: Blades of the Shogun, and Floor Kids), he learned he’d need a visa in order to travel inside the UK, where the event was scheduled to take place at the end of May. According to Karam, this process required paying to expedite the process and traveling numerous times to Vienna for interviews. After everything was finally submitted, Karam learned on May 23 that his application had been rejected. Karam shared the rejection letter with GamesIndustry.biz. It pointed to a lack of sufficient “translated evidence” by the game designer demonstrating his income. The reviewer of his application determined that Karam could not “be relied upon to meet the conditions of visit entry clearance” and wasn’t convinced he intended to leave the UK once the visit was over. “I think the decision is ludicrous,” said Georg Hobmeier, Karam’s colleague at Causa Creations, the studio behind Path Out and other games, in an email to Kotaku. “Some facts were simply wrong and the main argument was based on a missing non-mandatory item.” That item was evidence of Karam’s finances, including a paystub or bank statement, which Hobmeier and Karam said the rejection letter appeared to hinge on despite it not being a required part of the application. The UK visa application website lists supporting documents like bank statements as optional. Hobmeier, who is able to attend the event, also sees the application rejection, including its unhelpful timing of just a week before the game conference, as being part of a larger, anti-immigrant sentiment in Europe at the moment. Whatever the ultimate reason, Karam will be missing the chance to attend the Indie Game prize event where Path Out is nominated either way, seemingly because the UK government is afraid if they let him into the country, he might never leave.